My Little Pony: Introducing my OC ponysona Mardelia! 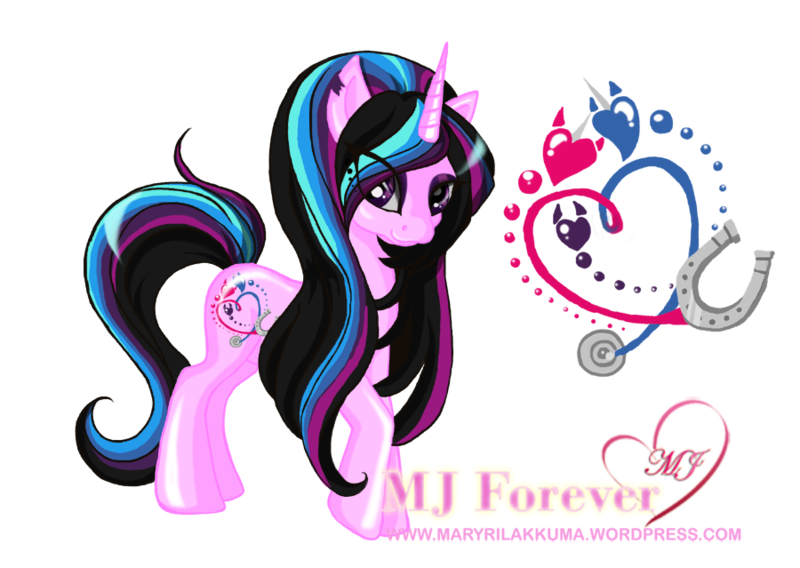 My OC pony – Mardelia! Finally! 😀 I figured I really needed one after commissioning 37 plushie ponies in the last month! O_O Good thing I’m doing some locum work next week to replenish my funds! I had a few ideas in my head, but I couldn’t translate them onto paper properly – so I asked the talented artist *sinister-puppet to kindly design/draw her out for me 🙂 And here she is! I wanted Mardelia to be an extension of who I am – appearance/personality/principles/values. If I had to summarize myself in a paragraph – I’m a medical doctor and a hard worker (when I need to be), I’m very family orientated and I prefer to stay at home (and play computer games! XD) than to venture out, my favourite colour is pink (but mango is growing on me)! My hairstyle is actually pretty boring, so I asked *sinister-puppet whether she could spice it up a little. My hair is very long, straight and dark, and I usually wear it down, sideswept to the right (I’ve pretty much had the same hairstyle since I was 10 years old, I kid you not!). For the colour scheme, I wanted her hair to be mainly black with highlights and I wanted her body colour to be baby pink (my favourite colour!). I wanted her eyes to have the same sort of make-up I like to wear 😀 (purple eyeshadow/winged black eyelining) as well as a few crystal embellishments around the base of her eyes. My Little Pony: Flitter has landed! Whoaaaa this is such an awesome idea! I can’t wait to see how this looks in plushie form! *sinister-puppet did a really great job!